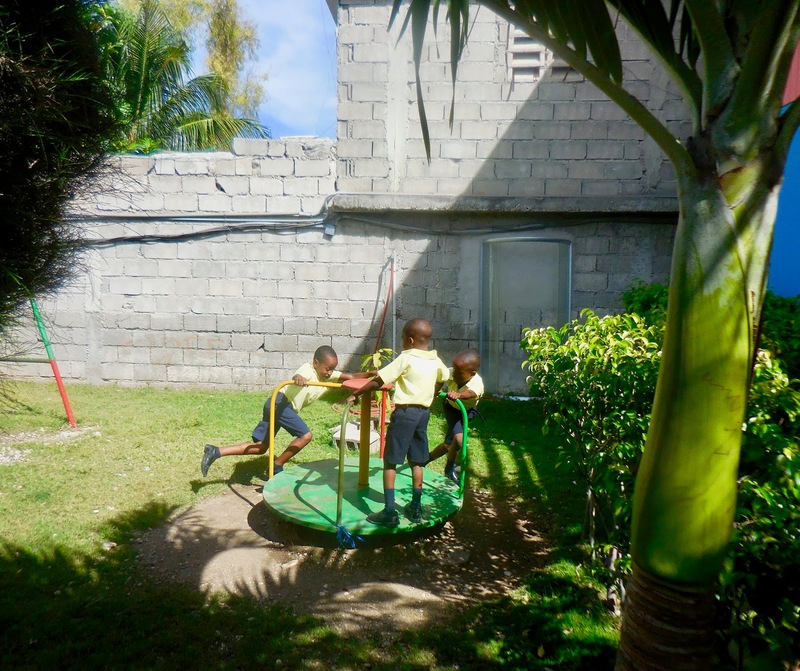 Our first stop of the day, we went to an orphanage called Sweet Home which is one of Healing Haiti’s new partners. This was new to almost all of us. Upon arrival, I noticed the nice playground area they had with a slide, swing set, and other fun things. There are about 35 kids who live there. Many of the kids are currently going through the adoption process, and hoping to finalize it soon, but this process can take up to 3-4 years. 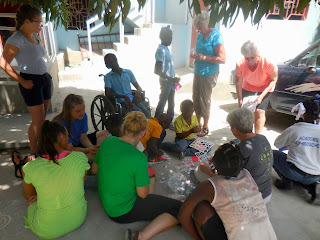 While we were there we got to spend time with the school kids during their recess, and then while the older kids went to learn in their classrooms we sang and did bubbles with a few little ones. It was wonderful seeing the smiles on their faces and the joy that such a small thing brought them. Dio’s, a special needs orphanage, was our second stop. We all sort of gravitated toward a kid or 2 and each did our own thing. A few kids started with a little sticker project, some started with sidewalk chalk. Then it turned into bubbles and a few kicking around a soccer ball. But it all ended with what they seem to really love the most, singing and dancing. A very beautiful thing I am so thankful I witnessed was one young boy, crouch down off his walker during prayer, on his hands and knees, head down to the ground, bowed before our Lord. I wish I could describe to you the beauty of this whole scene the way I experienced it-kids of all ages, abilities and physical disabilities, worshiping together, singing, smiling, and dancing. So. Beautiful. We then sang a few worship songs with the children. All of them piled into our laps singing away, huge smiles on most of their faces. 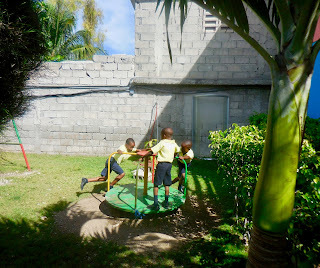 Then we watched the girls jump rope with their amazing skills, while the boys enjoyed playing soccer. Others did sidewalk chalk and more bubbles. Our hope, trust, and prayer, as a team, is that Christ is glorified and made known to the people we reach out to. The barrier of language seems so huge, but we know and have already seen how Christ shows through anyways. Please pray for spiritual break through and supernatural love.